A divorce is not something that anyone plans to have to go through however unfortunately relationships breakdown and it becomes inevitable. For many people the divorce process appears to be a confusing and frightening proposition. At Johnson and Boon solicitors our aim is to provide to our client’s sufficient information regarding the process to remove such confusion and provide comfort at what is a very difficult time. We provide a free initial telephone consultation to allow us to provide to you an outline of what is involved in the process and also to establish that you have sufficient grounds for the divorce. We will deal with the matter from start to finish on your behalf which will include any negotiations in relation to finances or assets. For a free no obligation discussion call Johnson and Boon today. The team at Johnson and Boon solicitors offer a wealth of experience in dealing with a variety of legal issues and so are well placed to assist you. A jargon-free approach to legal services is adopted in order to help resolve issues in a timely and cost effective manner. Time will be taken to understand you as an individual and advice will be provided as to what outcome will suit your needs. Johnson and Boon solicitors act for clients from all over the UK on a regular basis and are able to arrange for you to receive representative at any Court hearing. When faced with a legal problem it is important that you seek early credible advice to ensure that matters do not worsen or escalate. There many firms of solicitors in Southport and Nationwide. This can make choosing the correct solicitor to assist you a confusing and time consuming task. At Johnson and Boon solicitors we provide a free initial telephone consultation in order to provide sufficient information to allow clients to make an informed decision when instructing us to deal with their case. Our aim to resolve your legal matter as quickly and cost effectively as possible, whilst ensuring that the right outcome is achieved. Our client’s receive the very best in client care from our highly skilled team of legal professionals. We guarantee that you will be kept fully updated as your case progresses and one of our team will always be on hand to answer any questions that you may have. Johnson and Boon solicitors represent clients from all over the UK. We provide a professional, friendly service that removes the stress from our clients. We treat our client’s as individuals and take the time to understand the details of their requirements. Every case is unique and a fully adapted approach must be taken to ensure that needs of the particular client are met. 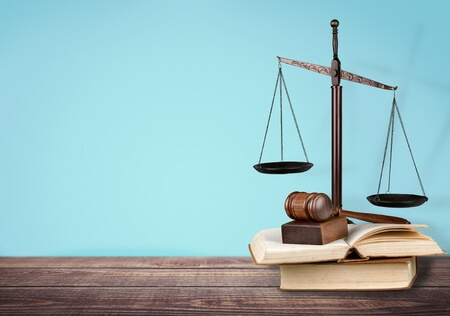 Legal disputes can be costly however Johnson and Boon aim to minimise the costs involved for our clients by offering competitive rates, fixed fees and No Win No Fee arrangements on certain types of cases. We also provide pre-paid envelopes with all paperwork to remove any cost that our clients would incur in postage fee when responding. Johnson and Boon solicitors represent both individuals and businesses alike. Our business clients range from small sole traders to large well established businesses. We work with a large variety of businesses from with many sectors of industry. Examples include Construction, Leisure, Retail, Office, Information Technology and Travel to name a few. Regardless of the nature of work that Johnson and Boon solicitors are undertaking, their clients can have confidence that they are receiving expert advice from highly skilled solicitors.